This page was a pain in the neck to layout properly on the thumbnails. How do you show the passage of time when people are going through same-looking tunnels? 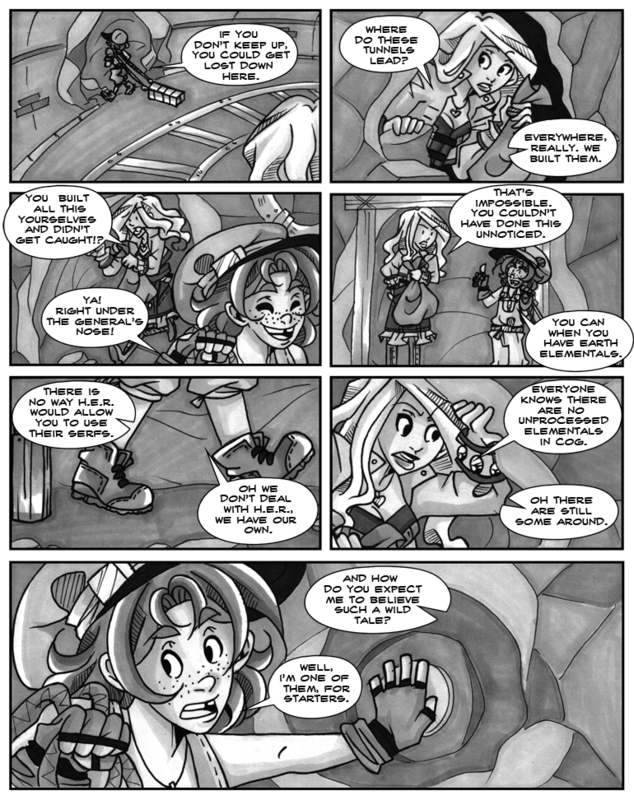 Turns out, Alli changed two or three of the panels, did it in less than a couple of hours and showed me the sketch.